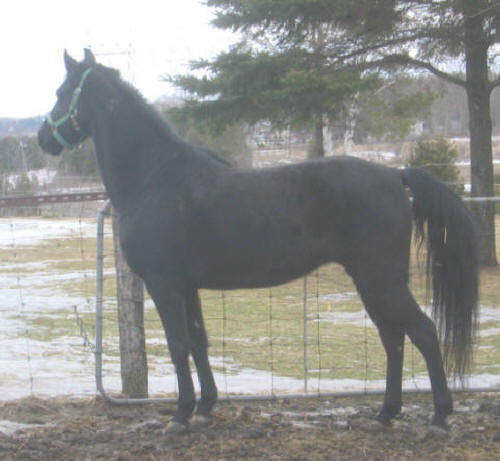 Brook is a tightly bred show line mare and it shows! 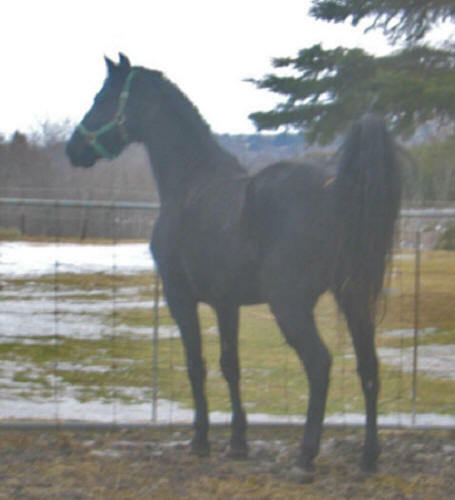 Elegant is the only word to describe this mare and she has trot and attitude plus! She is a female version of the stunning Troutbrook Alexander. 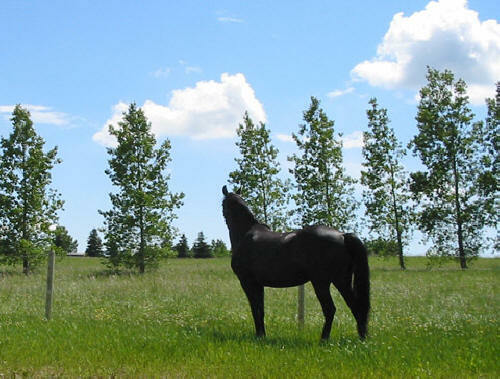 This mare came to me from MA as her previous owner really wanted her to have a chance to produce a foal to carry on her famous Troutbrook breeding, and wasn’t in a position to do so herself. 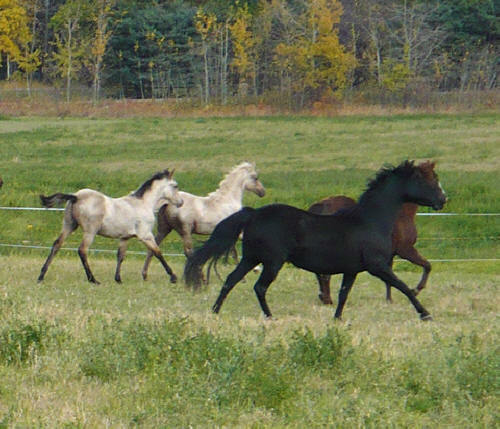 I didn't realize it from her photo’s but Brook is actually lightly marked with Rabicano markings, with a faint white ring around base of tail and faint roaning in her flanks. 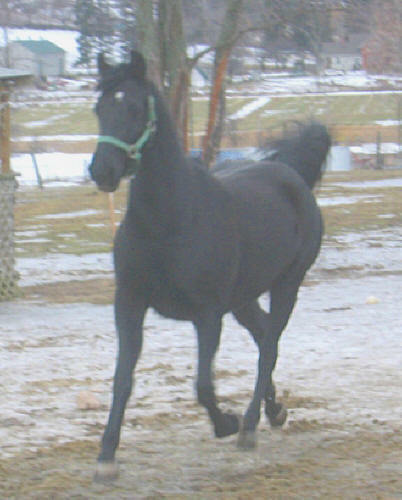 Brook had an ovary removed November of 2008 via Laproscopic Surgery as it was cancerous, she is now cycling normally and (drum roll please) NEWS FLASH - has produced a BLACK COLT by my homebred stallion - AmmoliteCloudSilverLining in June of 2010! So she is now proven as a broodmare, catching (live cover), carrying & foaling without incidence, and is proving to be a wonderful mom. Due to divorce, Brook is available to purchase or lease. Click here to see Brooks' extended pedigree. Click on thumbnails to see larger photo, hold your mouse over photo to see caption.